Akron Triviators: A 'Shroomful of Facts! Free Trivia Tonight @Barmacy! A 'Shroomful of Facts! Free Trivia Tonight @Barmacy! The largest organism on earth is a fungus. The Honey Mushroom (Armillaria ostoyae) covers 2,384 acres (nearly four square miles) of soil in Oregon’s Blue Mountains. It's estimated to be 2,400 years old but might be over 8,000 years old. Some mushrooms glow in the dark. This is because of chemicals called luciferins, which are named after the devil. (Well. . . the original Latin word means "Light-Bringer." There's also a saint with that name, and it is sometimes used to refer to Jesus. The more you know. . . The origin of the actual word mushroom isn't quite known. Some sources show that it comes from Franco-Germanic words for "moss" and some show it goes back to Latin, or it may be older. The common mushroom, the champignon mushroom, the Crimini mushroom, and the Portobello mushroom are all the same mushroom - Agaricus bisporus. There is a species of mushroom called "Chicken of the Woods." Three guesses as to what it is supposed to taste like. There is an entire Order of fungi named Phallales that are named after their resemblance to the human dong. Although some members (heh) look as if they may have been created by H.P. Lovecraft, or designers of some of the more outré anime. 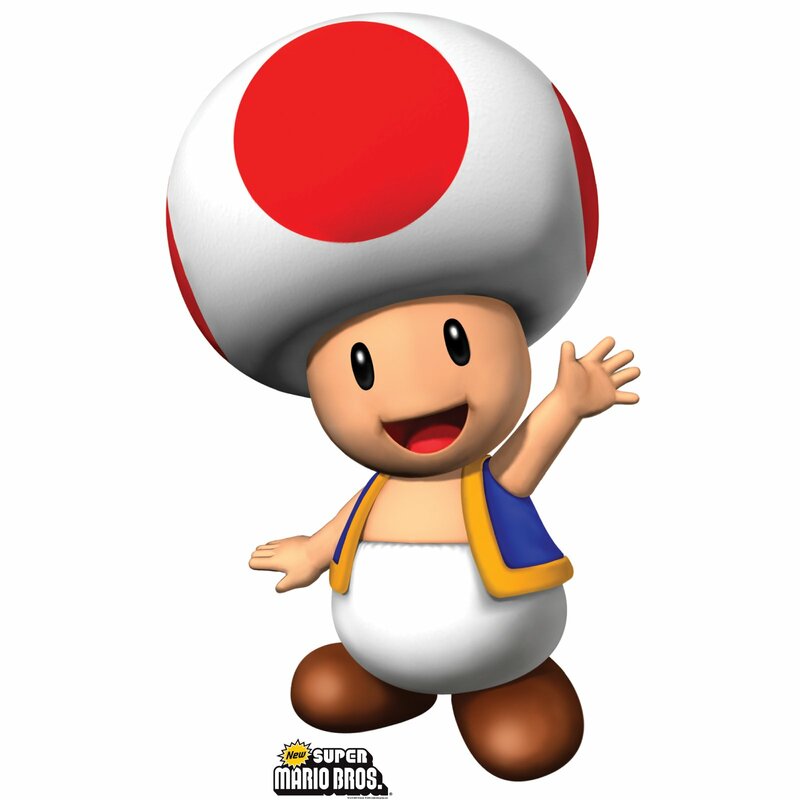 Toad, from the Super-Mario franchise is a member of the Mushroom Kingdom. He's based off the red super-mushroom from SM1, which made Mario double in size. What effect does Amanita muscaria (its real life basis) have on humans who eat it?